Luxurious high quality fabrics, safety tested. Sport style and nice colors, can wear in Baseball golf ball,which loved by little girls. Application for baseball games, school activities, parties, etc. 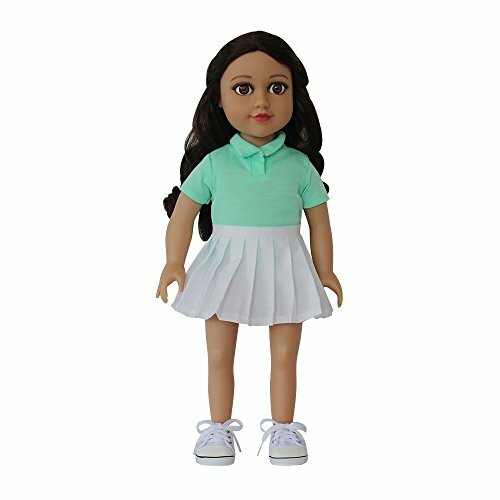 Young girl's love dress up especially with their favorite 18 inch doll. Allow your girl's imagination escalate into a world of sports with our huge selection of Golden Star® exclusive designs of beautiful boutique 18 inch doll costumes. Our boutique doll clothing are meticulously constructed of high quality fabrics.